3. Road transportation and transition are very convenient and are not subject to resource constraints. Road transport can be carried out under the front of the car, no need to rent a separate car. 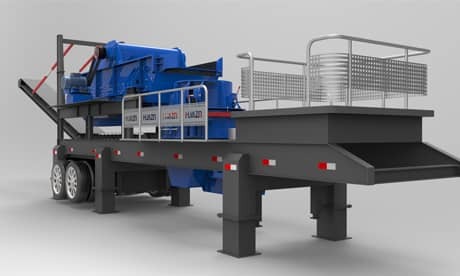 Although the tire-type mobile crusher requires a simple foundation, it is basically a 6-foot or 4-foot pre-embedded anchor bolt, so the transition is very convenient. After a slag is crushed, it can quickly go to the next "battlefield". Previous Article：How much does it cost to invest a stone production line?